Wow that was a great gig. I don't know why I doubted it would be. Possibly, cos I read a few comments on here (everyone entitled to opinions of course, not blaming them). I think I was more put off a bit by the lack of any band and the possibility the gig may be rather downbeat, but hey, with all those foot pedals, who needs backing musicians, and she has such a great sense of humour and rapport with the audience aswell. Her voice is terrific, to me one of the best female singers around. You know when you sometimes have doubts about whether you might enjoy something and then it turns out even better than you could imagine - well that's what I thought of the gig last night? Billy Lockett was good too. Had a very quick word with him outside later. Even for a "greybird" I would have liked to have stood up occasionally before the end, but I was in the Grand Circle, ie a bit high for the occasional vertigo (in my old age! ), but the sound quality surpassed some of the other venues I have been to and I do think the venue is all important at gigs aswell. The advantage of being upstairs meant we could see the lovely effects of the lighting on the floor around her. Re the "greybird! bit, I did smile to myself because I reckon, I wasn't the oldest there, but it wouldn't have bothered me if I was. Fantastic gig at The Bridgewater Hall, Manchester tonight! 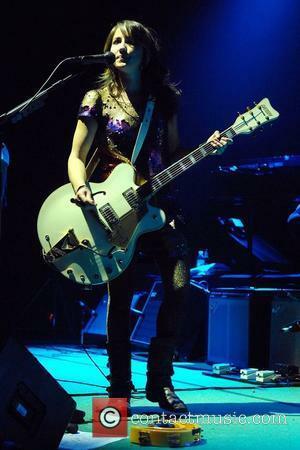 This was my favourite solo KT gig and right up there with the very best of all her Manchester gigs with band. Great voice, superb selection of songs, amazing sound quality and lighting, and a wonderful vibe throughout. Great stuff KT!! Totally speechless, it was so incredibly great!! So so so happy I could make this one, I wouldn't have want to have missed it for the world!! But first: damn that's hard having to sit down!! But clearly a lot of people have thought otherwise over the years, I think over half of all the seats in the venue were occupied by grey birds!! It was just one big sea of grey if you looked behind you! Where have they been hiding during all these years?? Thanks to Steve we had gotten tickets in the front row, which was really great, especially seeing how big the venue was, quite impressive, and I think nearly full! Billy Lockett was supporting, the first song I didn't like his voice much, but apparently it was just the one song cause all the rest was simply gorgeous and I totally loved his voice in those! He wrote a gorgeous song about a soldier telling his love to move on whilst he was away, really sad, but beautiful! UTW - She was doing the WB and having us guess the song, it was an oldie. I didn't have a clue till she was well into building it all up though! Great to hear it again, still love it to bits! Carried - YES SHE WRITES SONGS ABOUT DEATH!!!! Made of Glass - I'm only sporadically on the interweb anymore (for pleasure anyway) but I did read about the video being posted 'tomorrow' at the time, then tomorrow it took a while and then I got busy again and totally forgot about it! First thing I'll be doing when I get home. There's not even a topic on it on here either! Golden Frames - Aside from alien abduction apparently this song is also about growing up, I didn't know that! Default - Cover by Atomic something... 45? Sounded amazing though! Crescent Moon - Are all you lot also putting the B-side on first when you're feeling naughty? SIS - FINALLY WE COULD STAND UP and have proper party. Except that all the 'booth' people didn't join in but that might've been because of KT making a little fun of them earlier haha! She was talking about the venue and saying how cool the booths were, then proceeding to portray a picture of the people in there putting her chin in the air and putting on a posh accent, and THEN she also had the lights pointed on them all so we could have a look at them hahahaha! Oops. And at the end of the night, cherry on the cake making it even more special than it already was, finishing Chimes she came straight up our way for a high five, really sweet!! Either way, had an amaaaaazing time, the Tunstall is really on top form, beautiful vocals, and it's great to see the WB being used as much as ever again, the tricks she pulls with all that equipment is really impressive!! Lots of echo too which was gorgeous, all songs have been put together brilliantly! Oh and also - shame I forgot my camera - the lighting was really nice! Any KT fan should have seen at least one gig of this tour. tonight. But oi about your "grey birds" comment - some of us have been there from the beginning all these years! Last edited by Andy J on Tue Nov 19, 2013 8:09 am, edited 1 time in total. Hahaha!! Ach, I'm turning grey already as well, but I found out that you don't feel a thing!! Being ancient and sat so high I could shake hands with the pilots flying into Ringway I did not risk vertigo standing up. This was the best performance I have seen her give. Her voice was magnificent and her guitar playing and looping was stunning. The sound in the upper tiers of the Bridgewater had a little too much echo at times. Even Bach would have been jealous of her contrapuntal vocal loops in her final number. Now if she can just tour New Zealand in January so I can take my grandson to see her all will be well. I'm just digging all these beaming reviews! Especially from the long time fans who were skeptical of her solo tour. I sure hope she can take a moment and read these. Now I'm pretty certain you are not turning grey yet! I think we were both on bad form though managing to miss a KT gig!! So glad you enjoyed it! I know what you mean though about the high-up seats in the gallery - I saw Emeli Sande from there and the sound was not as good as KT from near the front of the circle. Yes, let's hope KT still sneaks a look here every now and again! I will be uploading some videos to Youtube soon. Ooooh I wish we'd gotten Waiting on the Heart as well, and Old Man Song!! And Crowes. And Boys of Summer! Thanks for the set list Tony and looking forward to the You Tube videos! I meant to say before The Atoms for Peace cover (Default) was awesome and throughout the gig was the best use of the loop pedal I've ever seen by KT - amazing - as was the guitar playing. All round brilliance in fact! I think it's a good idea Kim! After all I saw Nerina Pallot last year perform ALL of her recorded songs over two three-hour gigs on successive nights in Salford: now there's an idea for KT!